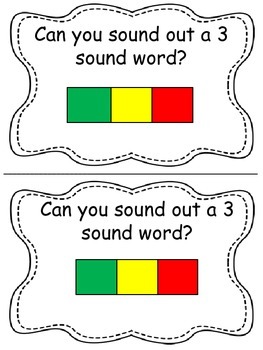 Use the appropriate cards to work on improving your students auditory blending, segmenting, and tracking skills. Start with larger linguistic units like sentences and progress toward smaller linguistic units. 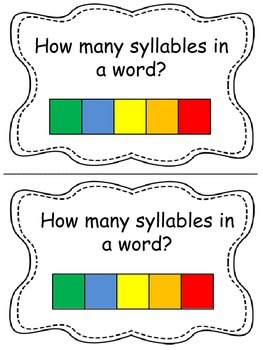 The order should be sentences, syllables, onset-rimes, sounds in words. The use of a visual helps students to make a connection to what they hear. Use the hear it, slide it, say it technique. Give the child the sentence, word, onset-rime, or sounds and then slide a corresponding colored cube (or M&M’s, Skittles, or other manipulative) while you say the given part that is being targeted. Challenge students by seeing if they can isolate and locate a given part of the skill being targeted by determining the corresponding colored cube (or other manipulative). 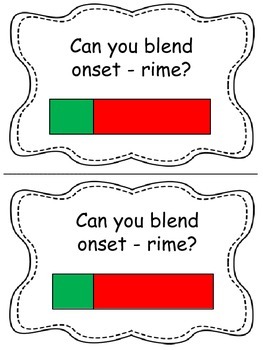 Your students will show great progress in the development of their phonological awareness skills with these cards.